Tabitha was dumped with her litter of four kittens at a recycling center. She was so friendly it was obvious she had been a housepet before being abandoned. The kittens were tame and healthy enough to be placed in adoptive homes, but Tabitha was much too emaciated and heavily infested with worms. We took her in and fed her as much as she wanted until her weight was up to normal, then took her to be spayed. 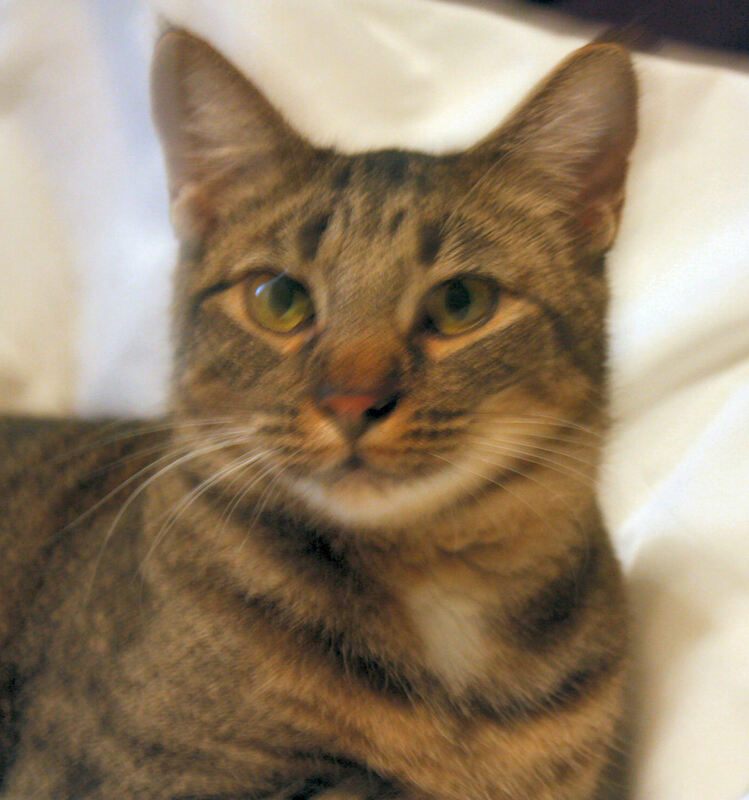 She’s a loving and playful girl who at times can be aggressive with other cats. She is waiting for the perfect forever home.